What is a minimalist bullet journal? If you've looked at bullet journals on instagram or pinterest, you'll find millions of bujos that are over-the-top with decoration. Many are loaded with artwork, washi tape, stamps, stickers, colored pencils, markers, and watercolor. I love this type of bullet journal! However, many people are looking for a cleaner, simpler approach to bullet journaling aka..the minimalist bullet journal. 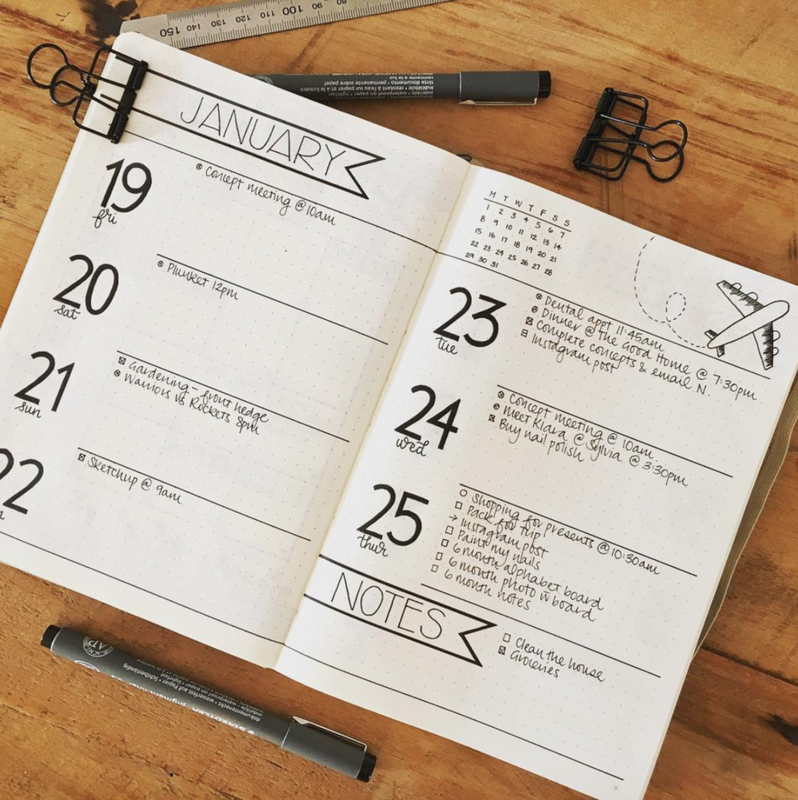 Ryder Carroll created the Bullet Journal as a way to log information and plans on in one place. It doesn't include all of the extras that many have added. It's simply a pen and notebook to take with you everywhere and keep track of your life. What are elements of a Minimalist Bullet Journal? There are many things that minimalist bujos have in common. In general, I like to think that there are two types of bullet journaling to architecture. The minimalist bullet journal reminds me of Modern architecture while the more embellished bujos remind me of Victorian architecture. Neither is right or wrong, it just allows you the opportunity to choose what appeals to you most. In addition, you don't have to choose one or the other! You can create your own version. Maybe you like a minimalistic-style bujo, but love adding a bit of washi tape to color code things. It's your notebook - have fun with it and make it your own style. The goal is to make a bullet journal you LOVE and you'll use all of the time. Are Simple Bullet Journals Boring? No! Just because these bujos are clean and sparse, doesn't mean they are boring! They just have a clean aesthetic rather than lots of embellishment. 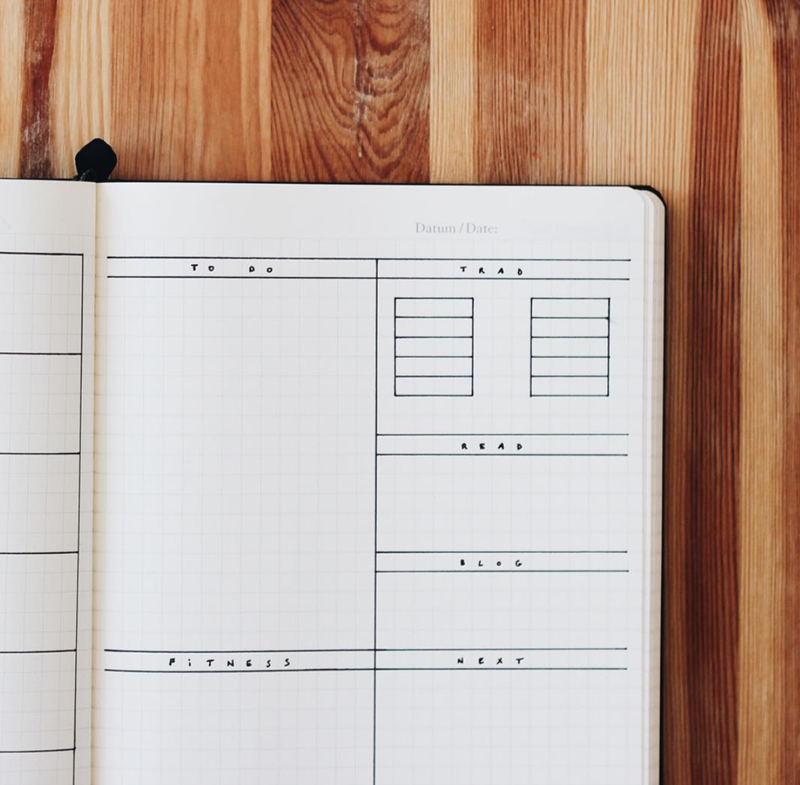 Check out these amazing minimalist bullet journal ideas and spreads! Booksofnotes created a lovely future log in her bullet journal. This simple spread features one month on each page and lists future plans, appointments, and birthdays in the space below. A gray Mildliner calls attention to the days of the week while still keeping a cohesive monochromatic look. 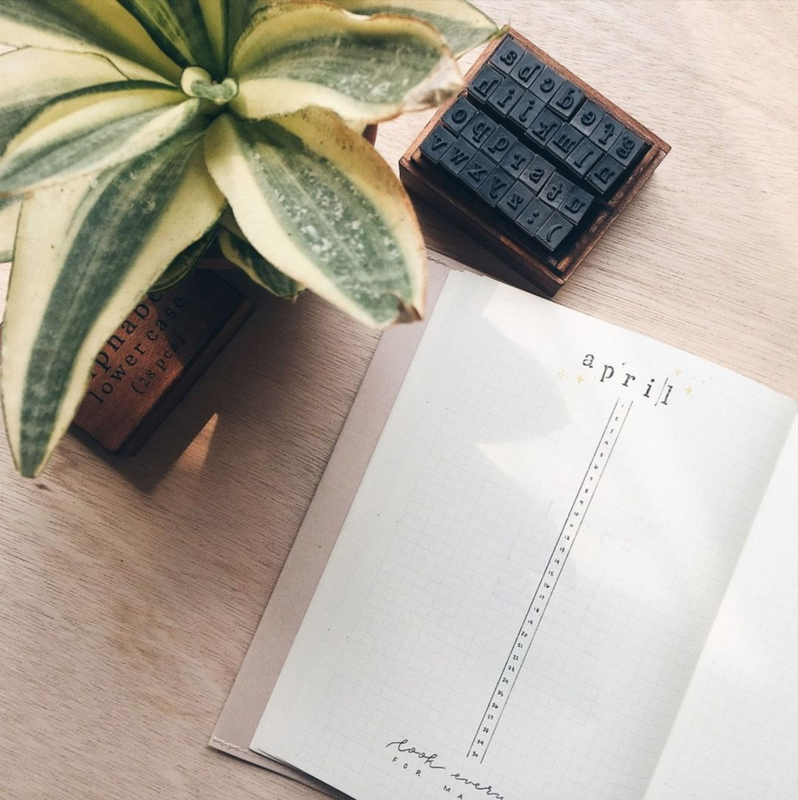 ThePaperGazelle uses large numbers to highlight the dates on this minimalist weekly spread. Clean banners call out the month and the notes sections while a cute airplane flies off in the upper right corner. 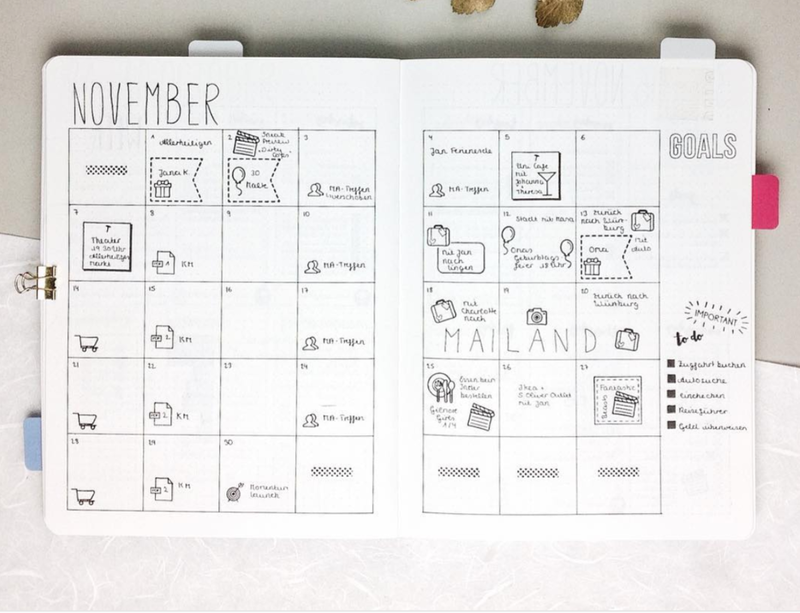 Pureplanning_bymj made a monthly spread in her bullet journal and used lots of icons. Did you think icons can't be in a minimalist bujo? Well they can! Keeping with a black and white color scheme while providing lots of white space provides the minimalist vibe while still having fun with stamps! Teacherwithaplan proves that you can also pack a lot onto a minimalist page. In her weekly spread, she has banners to mark the date along with sections for every day of the week. In addition, there are boxes for a weekly quote, to do list, sleep tracker, life trackers, groceries, reflections, next week, and this week's main focus. That's a lot of info presented in a simple and clean layout! Tetheredandtold used lower case letter stamps and even some yellow stars to create a unique monthly spread. Rather than having boxes for every day, she created a simple numbered column down the center of the page. This way, there is space to the left and right for adding up to two items for every day of the month. Thebujette creates a minimalist layout for tracking to-dos, fitness, reading, blog, and info for the following week. Letteredbymichi used the dots in her planner as a guide to draw simple triangles with enough tiny triangle for every day of the month. She can easily track her progress by filling in a triangle when the goal is complete. She's tracking instagram posts, books read, and letters written. Minimal.plan shows you can use your bujo to track projects. Use one page to draw out ideas or schematics and other page to note important info about the project. invertido.nl_rian creates a fun monthly bujo spread by starting with two open circles. The one on the left has a quote, while the one on the right announces the month and includes the calendar. Lines, dots, and a simple arrow creates interest and balance to the spread. Journautical shows you can have fun drawing and still create a minimalist weekly layout. Look at the gorgeous floral drawing beautifully placed on this week with lots of information to remember. 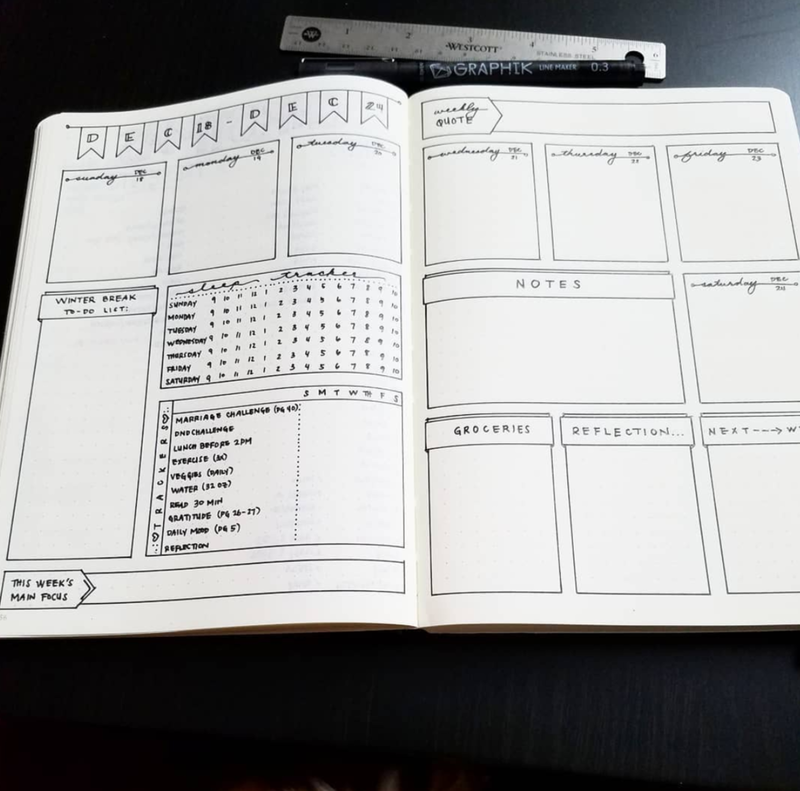 Kindlybujo tracks 15 important goals on one page. Plus, it's for an entire month! Simple columns provide organization and two lines of dots help break up the page. Frau.fritzi used color! Does that mean this isn't a minimalist spread? No! By sticking to two colors and using very simple doodles, clean lines, and lots of white space the minimalist look is maintained. Cindywildflowers uses clean columns and simple colored dots to organize The Giant To Do List. Wow! Cessclusivejournals makes a fitness tracker using large script fonts but maintains the minimalist feel with lots of white space and a monochromatic palette. Bujo.balance created a minimalist habit log for many areas of life: health, chores, finances, routines, and social media. Augustrose.doodles made a simple and elegant weekly page with cursive writing and light lilac marker. 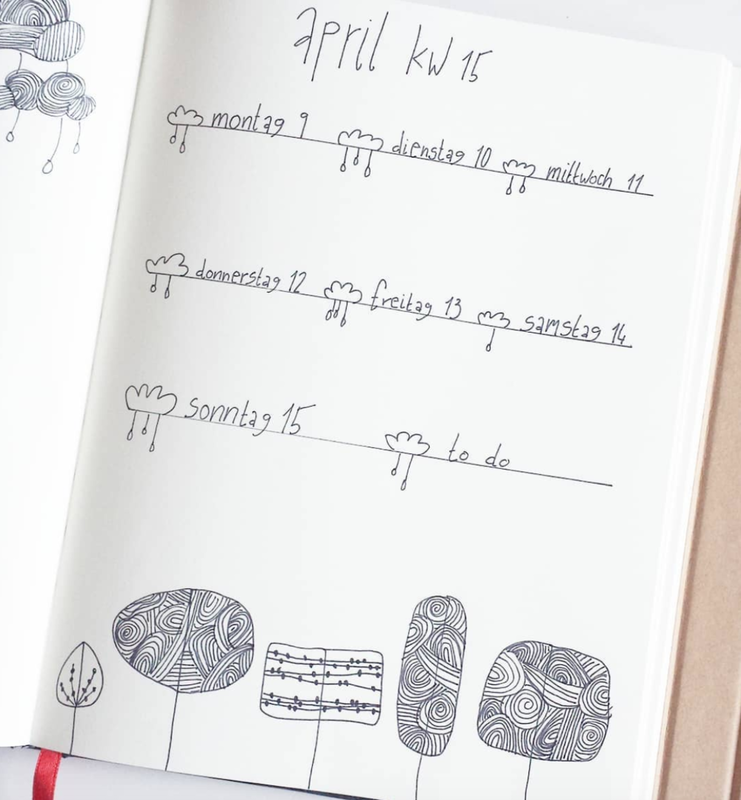 atelier8vier used simple tree drawings and clouds to make her bujo pop. 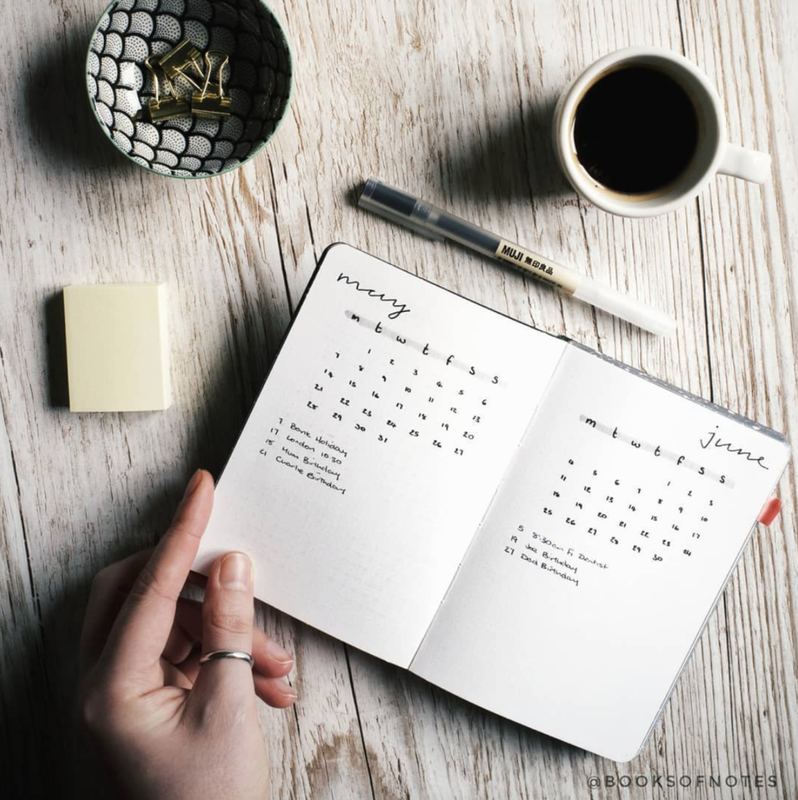 Do you use a minimalist bullet journal? What works for you? Share your thoughts in the comments below!